with sahajiyā Ramesh baba (local famous activist sahajiyā baba) for the whole month of Kartika. 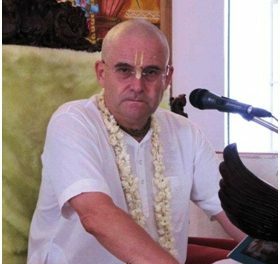 Dhanurdhara swami, who was found guilty of child abuse (smashing one child’s face into a wall breaking his teeth) in Vṛndāvan gurukula and was so puffed up he refused to honor the slap on the wrist punishment allotted by CPO and declared that he is “leaving ISKCON” instead, to make the CPO ruling inapplicable. 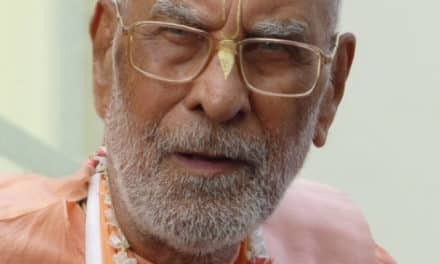 Laughably, he left ISKCON in name only, since he is always hanging around ISKCON recruiting and initiating ISKCON devotees without any objection from the GBC and/or any other leader/s of ISKCON that he allegedly “left”. 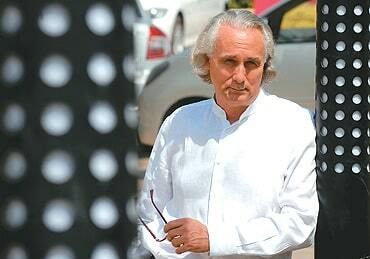 I suppose it does make a difference for him that the GBC apologized for hurting his feeling when they were forced to do something which poor little Dhanurdhara swami was embarrassed by and hurt his feelings so he knows his partners in the GBC did not mean it and only acted as ‘show’ so that others were fooled into thinking they cared for his child victims! As I was observing Dhanudhara swami and the scene around him, I had the whole déjà-vu going on. It was ’92 again, when Dhanurdhara swami with his “sahajiyā gopi” friends were residing in Vṛndāvan, and actively participating and promoting the sahajiyā gopibhava club, that was internally polarizing ISKCON`s Vaiṣṇava community. The only difference was that instead of Narayana maharaja there was sahajiyā Ramesh baba (photo below) in the centre. That lead me to do some further inquiring, and I found out that in is not only Dhanudhara swami (and his followers) that are intimately associating with sahajiyā Ramesh baba, but there are also the rest of the sahajiyā gopibhava folks also, that are regularly going to see sahajiyā Ramesh baba with many of their followers. 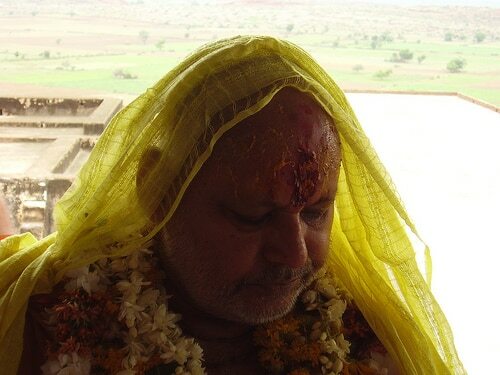 Previous years there was Bhurijana prabhu, and Sachinandana swami (followers included) however, this year there was a ‘surprise’ guest; Giriraja maharaja as well. 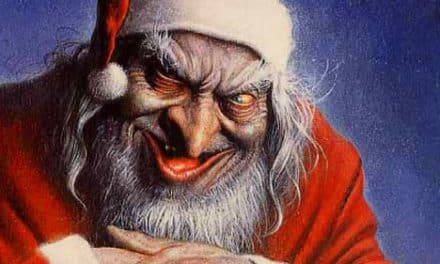 Moreover, it appears that all these individuals who have their own philosophical agendas are to some extent and purposes following the same (Dhanudhara) pattern, namely creating private facility that creates the environment of freedom and protection from any institutional sanctions against them and/or their activities. All the sahajiyā gopibhava folk are privately owning house`s in Vṛndāvan, that give them their much desired independence as well as giving them not only protection but the freedom to do and talk about anything they want. The sahajiyā gopibhava group was reined in by the GBC in the early nineties and many of them were banned from coming to India for several years and then many of them were also involved in the Turely Lawsuit so they as a group learnt that they could only deviate so much before brining too much attention to themselves so they began to operate outside of ISKCON with incorporating private trusts and organizations so they would still have something if the heat got too much and they were expelled from ISKCON. Sivarama swami, Giriraja swami, Indradyumna swami, Bhurijana prabu (via disciple) they all are in possession of privately owned “bhajan kutirs”. They hardly attend the program at the ISKCON Temple and all hang together in their homes surrounded by their disciples. not in ISKCON`s name, Dhanudhara swami has a huge devotee community up state (New York), Bhurijana prabhu`s project in Perth Australia is also privately incorporated and owned which has nothing to do legally with ISKCON etc. and recruit followers that are naïve and sentimental in nature and make them feel special and privileged, that they are allowed to be part of this dramatically secret sahajiyā gopibhava club. It is sad to see, that after all these year’s nothing has changed. Along with child abuse, the sahajiyā Gopibhava club is alive and well, the only thing that has changed is their operation. They have become much smarter about it with having their programs independent of mainstream ISKCON but make sure they stay close enough to be able to appear to be members of ISKCON only so they can gain access to our devotees and Temples. Consequently, if you look at the other philosophically deviant group in ISKCON, namely Kirtananda`s religious syncretism (interfaith) faction, that allegedly returned to the ISKCON institution; Radhanatha swami, Devamrita swami, Bhaktisidhanta swami, Vedavyas Priya swami, Malati devi dasi etc, they are all following the sahajiyā Gopibhava club boys pattern, by creating privately owned communities/temples that legally speaking have absolutely nothing to do with ISKCON. The writing is on the wall as well. They can feel their days are numbered as their activities are being constantly exposed by websites like this one and they are having to take down their disgusting photos like Indradyumna swami or begin to mention Śrīla Prabhupāda like Radhanatha swami so they are beginning to feel the heat that will soon burn them to ashes. The sooner these rascals leave our society and start their own the better. PreviousWhat is the Hungarian Society for Krishna Consciousness?